When I first moved into my house almost 10 years ago I had big plans for all kinds of flower gardens. We bought our house in February and the yard was always full of sunlight. It wasn't until spring arrived that I realized all of the maples in my yard would leaf out and my yard was full of shade. 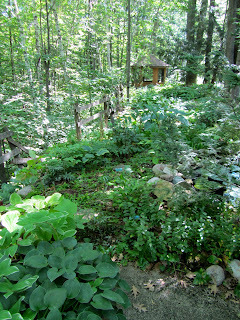 I struggled with the idea of shade gardening until one day I happened upon a garden set in the woods of upper Wisconsin. It was there that I realized that you could have beautiful gardens, even if you have full shade. This weekend I had the opportunity to revisit the garden that inspired me, and I took pictures for all of you who don't believe you can garden in the shade. 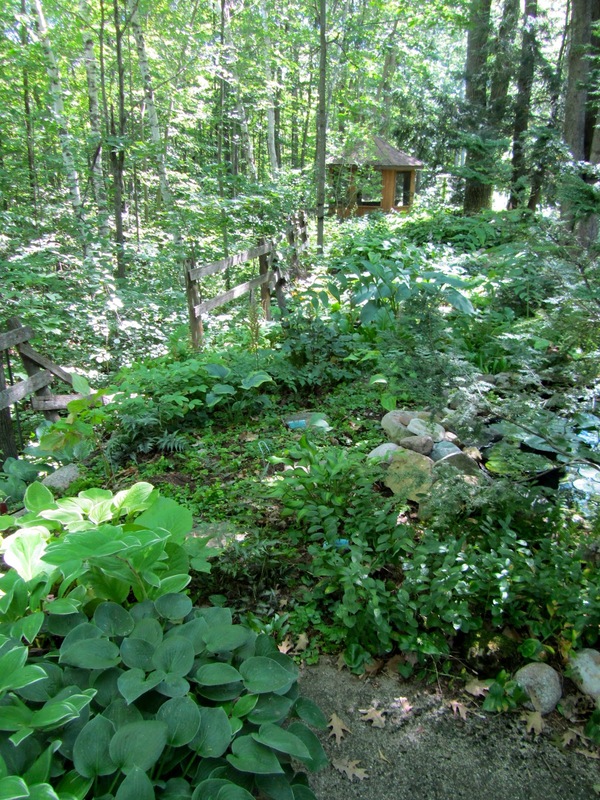 A sense of tranquility washes over you when you walk through Cathy's wooded garden. Water features lace the gardens, along with treasures from her various trips around the world. gorgeous! I'd love to have more shade in my garden. It's tricky finding plants that will thrive in shade but I'm finding that they are out there. Beautiful garden here. Your challenge is finding plants that would survive hot, dry shade. Dry shade is much harder to work with than wet shade. Exactly....I found this plant called Turk's Cap and it seems to be a good fit and thrives in our climate...as long as there is shade.